Description: Known for its powerful healing strength Helichrysum essential oil makes this facial serum ideal for stressed, scarred, and/or hyperpigmented skin. Age spots and wrinkles gently fade away with the use of this super charged and cell regenerative facial elixir. Safe for all skin tones, types, and parts of the body. Directions: Apply to a clean face two times daily. Use as a spot treatment on any area or scar(s) necessary. Apply to the entire face. Day: Use in combination with a dermatological sunscreen or sunblock. 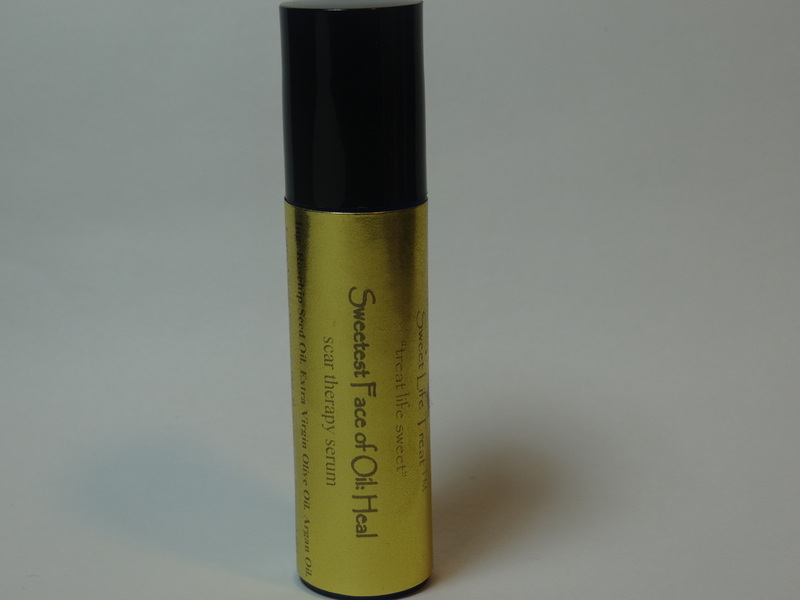 Sweetest Face of Oil: Heal may be applied under makeup. Night: Use alone or with other night treatments. Organic Ingredients: Rosehip Seed Oil. Extra Virgin Olive Oil. Argan Oil. Extra Virgin Coconut Oil. Helichrysum Essential Oil.